With the rights of basically every marginalized group threatened by the incoming administration, it comes as no surprise that some lawmakers are already using a Republican presidential victory to push their regressive agendas. 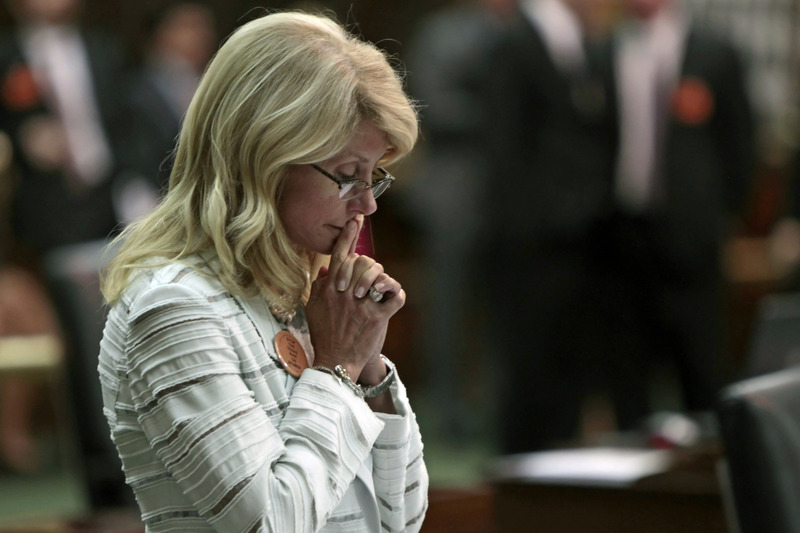 Enter Texas's new draconian abortion law, which will require people to have funerals for fetuses after abortions and, even worse, after miscarriages. An expert illustration of former Supreme Court Justice Sandra Day O'Connor's "undue burden" rule that makes abortion regulations that require unnecessary difficulties illegal, Texas's new anti-abortion law is a chilling snapshot of our anti-abortion future. Coincidentally, I got news of Texas's new law on my way back from my gynecologist's office as I consulted her about getting an IUD. Like so many other people, I'm scared of what Donald Trump's administration (and worse, his Supreme Court justices) may do to my ability to access birth control in the next four years. The irony of judging another state's abortion restrictions from North Carolina, a state that requires people to have ultrasounds prior to their abortions for no medically-sound reason, didn't miss me. In this anxious post-election era, it's easy to be consoled by reminding oneself that you don't live somewhere "that bad." But, unfortunately, the potential for things becoming that bad nationwide under Trump is ripe. Despite only being elected just over three weeks ago, there's already ample evidence that abortion rights are in the process of being rolled back before Trump has even taken office. In nominating Rep. Tom Price as Secretary of Health and Human Services, it's easy to infer the incoming administration's stance on abortion and reproductive rights. And if Price's track record is any indicator, they will work tirelessly to restrict those abortion rights. On the flip side of those who will capitalize on the rising tide of conservatism are those who are doubling down their efforts to ensure civil liberties of all types remain intact. Less than a day after the new Texas law was announced, Planned Parenthood and the ACLU announced that they're challenging restrictive abortion laws in North Carolina, Missouri, and Alaska, citing the very real risks to abortion access millions of Americans will face during Trump's presidency. Although news of this challenge is heartening, the fact that more and more of these state laws are bound to crop up (and that they've been steadily increasing even under Barack Obama's presidency) makes the need for the challenge tragic. In an op-ed in Cosmopolitan (by way of science journalism site Stat) just a day before news broke of the new Texas law, Colorado abortion provider Dr. Warren Hern discussed the fears he feels for both his patients and his own life that could come to a head with the coming administration. These fears are not hyperbolic or unjustified. Instead, they are the sober musings of a seasoned medical professional who's watched as the country he calls home continues to attack the very rights to which he dedicated his career. As we take stock of what's to come and how we got here, we must either begin mourning our abortion rights or make bold, strategic political plans to ensure they remain intact.